We're being far too serious here, Finn. Screaming at the top of our lungs while covered in mud sure is fun, isn't it? Some of you have asked about my secret method for cleaning off my boys. 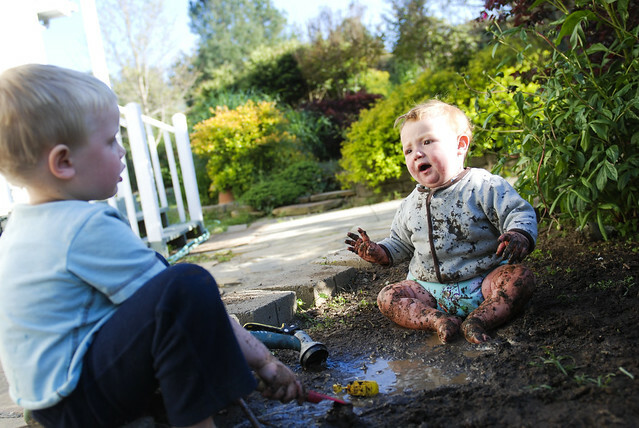 Truth be told, my boys are often covered in something - mud, weeds, oatmeal, peanut butter - I am not one to fuss over their appearance. 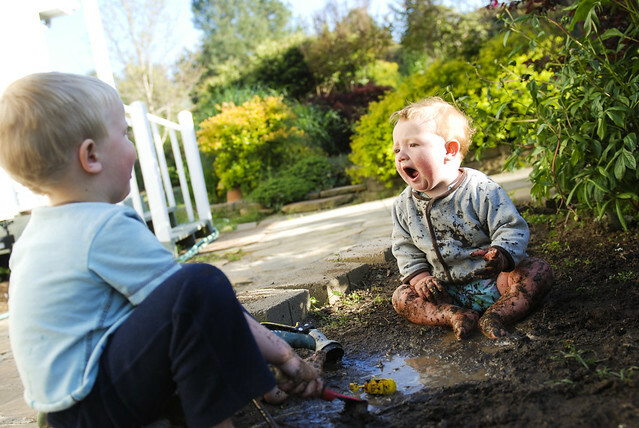 But being dirty is the sign of a day well spent! 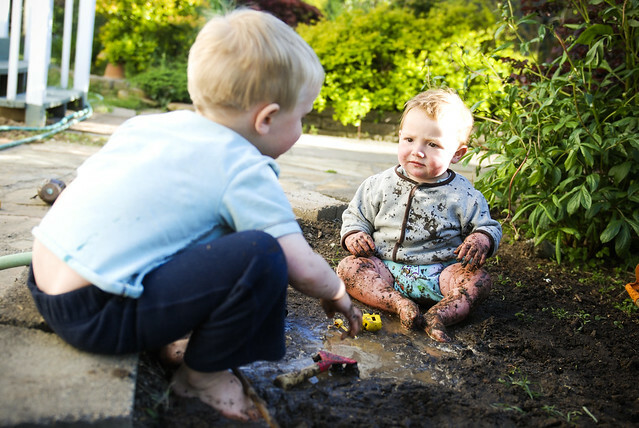 To keep them from leaving a trail of mud in their wake as they move through the house, I just hose them off, dump their messy clothes in the washer, and dump them in the tub before dinner. Then it's my tub that's dirty. It never ends. The soil everywhere is a sign that we made the right decision by moving out here to some land - they're country boys, these two. 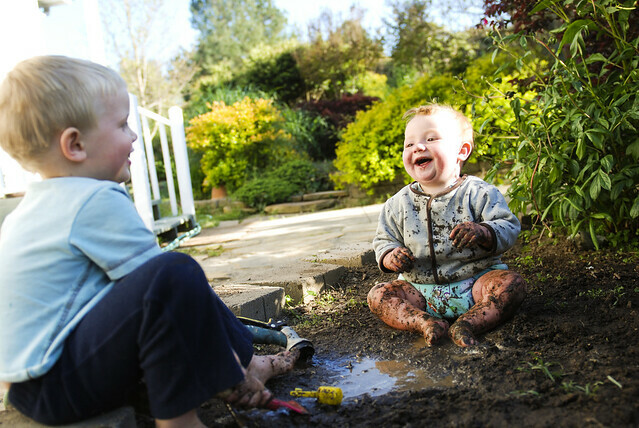 Nothing is better than being outside. I'll take the ever-present dirt packed underneath fingernails.